Sleep Studies are used to diagnose and treat many common sleep disorders that can affect your performance at work or school and may be harmful to you. Lack of quality sleep can cause excessive daytime sleepiness, morning headaches, high blood pressure, moodiness, and depression among other health conditions. The Sleep Study usually involves an overnight stay at Bethesda's Sleep Lab. In some qualified patients, a "home study" may be done. A prescription for all studies are required by your physician. We offer expert testing by highly trained, Registered Polysomnographers and licensed Respiratory Care Practitioners. 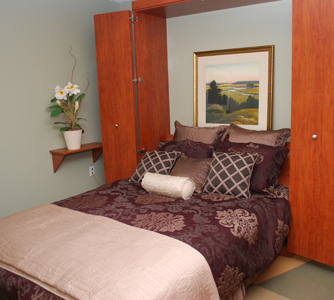 A licensed physician, Board Certified in Sleep Disorders provides interpretation of all tests. We accept most insurance plans and are open five nights per week including weekends. To schedule an appointment or for more information, please call the Sleep Diagnostics Lab at 561-737-7733, ext. 84398.